Alexandra 'Sasha' McHale was being treated for a condition related to lupus, diagnosed last year. MINNEAPOLIS — Alexandra McHale, the daughter of basketball legend Kevin McHale, died over the weekend, it was announced Sunday. Known as Sasha, she died Saturday in a Twin Cities hospital. She had turned 23 in late October and had been in college at Minnesota Duluth until illness forced her to take a leave of absence. She played varsity for Totino-Grace High School for three years and made honorable mention all-state in 2008, the year her team won the Class 3A state title. Kevin McHale, a former player for Hibbing (Minn.) High School, the Gophers and Boston Celtics, spent 16 years with the Timberwolves as a broadcaster, coach and general manager. During her playing career, Sasha McHale wore the same No. 32 that her Hall of Fame dad wore while he played for the Celtics in the 1980s. Hartinger said that despite her father’s fame, Sasha never felt pressured to play basketball to live up to the family legacy. 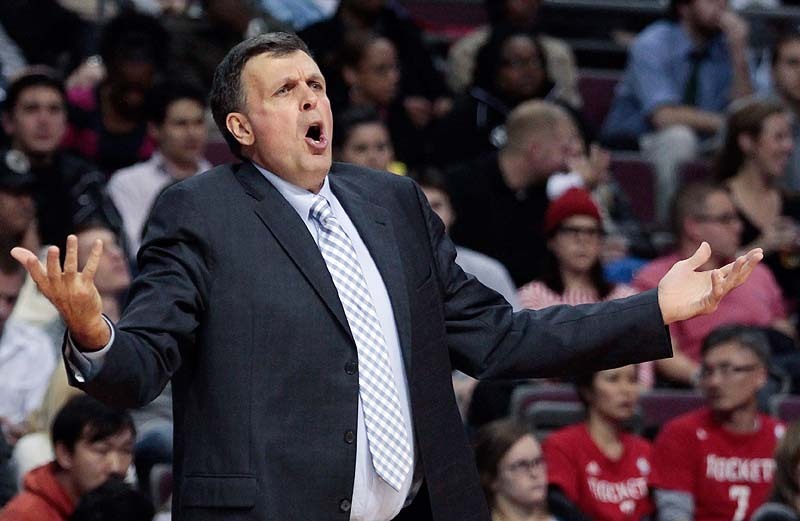 Kevin McHale became coach of the Houston Rockets last season but has been on a leave of absence since Nov. 10. The Houston Chronicle said the leave was to deal with his daughter’s health issues after she was hospitalized for a condition related to lupus, a chronic autoimmune disease that can damage any part of the body. The Lupus Foundation of America estimates 1.5 million people in the country have it. Hartinger said she was diagnosed last year but that very few people seemed to know there was anything seriously wrong. The Rockets organization also expressed its sympathy. “Kevin and Lynn are loving and dedicated parents who will need our continued support throughout this very difficult time,” owner Leslie Alexander said. Sasha McHale is survived by her parents, a sister and three brothers. No funeral arrangements had been announced as of Sunday night.